Prominent Saudi construction products company CPC has acquired Sphinx Glass in Egypt, bidding fair to enlarge its influence in the Middle East’s buildings and infrastructure industry. CPC (Construction Products Holding Company)’s latest acquisition is a float glass manufacturing plant with annual capacity of 200,000 tonnes per year. Sphinx Glass has modern production facilities and a management team that could prove to be an asset to the new owners. The Jeddah-based firm signed a sale and purchase agreement with Cairo-based based Qalaa Holdings (formerly Citadel Capital), an African leader in infrastructure and industry. Under the agreement terms, CPC buys the entire 73.3 per cent stake from the company. The transaction was completed through its subsidiary CPC Emirates. Its size implies an enterprise value of $180 million, which translates into a cash consideration of $114.2 million for 100 per cent of the shares after deducting debt and liabilities to be assumed by CPC. The transfer of cash and shares is expected to conclude this month. On the acquisition, CPC chief operating officer Riad Kiwan said Sphinx Glass was one of the most technologically advanced plants in Egypt with a strong management team complementing its existing portfolio of building materials and was a perfect fit with its existing industrial presence in Egypt. “This acquisition is an important step in line with our group’s international expansion strategy, enabling us to capitalise on increasing demand for building materials and glass in Egypt and Africa, where the construction industry is booming with economic progress and increasing urbanisation,” he added. “Sphinx Glass was an idea born on the eve of a global recession and commissioned mere months before the start of the 25 January 2011 Revolution,” remarked Qalaa Holdings co-founder and managing director Hisham El Khazindar. “Despite these headwinds, we have worked closely with management and our co-investors to create over 375 new jobs and catapult Sphinx Glass into the ranks of both key national players in Egypt and leading regional and global exporters,” he added. According to him, Sphinx Glass began full operations in April 2010 and is today one of the largest independently operated float glass producers in the Mena region. “In addition to being a key player in the Egyptian market, Sphinx Glass is also a significant regional and international exporter,” stated El Khazindar. 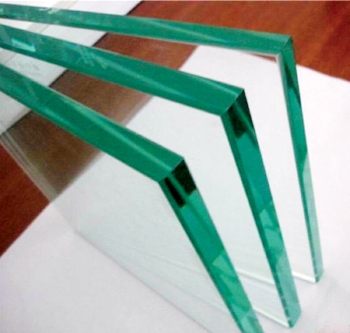 “The company specialises in the production of clear and tinted float glass and online coated glass in varying thickness. The company recorded EGP 393 million in sales in 2013 and is currently on target to exceed its budget for the second consecutive year,” he added. Kiwan said under CPC ownership, Sphinx Glass will remain committed to supporting its valued customers in Egypt and in export markets. CPC subsidiaries provide specialised construction materials ranging from precast, glass, steel and aluminum products to ready mix concrete, electric cables and wood and gypsum. It also supplies construction equipment rental, steel structures and renewable energy along with logistics support. Projects that CPC has completed in Saudi Arabia include the King Abdul Aziz Endowment Development, Makkah; Al Jamarat Bridge, Mina; Al Massaa, Makkah; King Abdullah University for Science and Technology, Thuwal; King Saud University of Health Sciences, Riyadh; Madinah Haram and Princess Noura University, Riyadh.